During the Jan. 23 Board of Education meeting, Aldine ISD Trustees unanimously voted to name Dr. Wanda Bamberg as Aldines next superintendent to succeed Superintendent Nadine Kujawa, who will retire on May 31, 2007. Dr. Bamberg received her bachelors degree in English from the University of Alabama in 1977, and her masters degree in secondary education from the same university in 1979. She received her doctorate in educational leadership from Sam Houston State University in 2004. Dr. Bamberg is certified as a superintendent. She began her teaching career in the Tuscaloosa County School District in 1977 where she was assigned to teach English at Boteler Junior High School. In 1981, she transferred to Hillcrest High School where she continued to teach English. In 1982, Dr. Bamberg moved to the Houston area and joined Aldine ISD. She was assigned to teach English and reading at Hoffman Middle School. In 1987, she was named the program director of middle school language arts and in January, 1997, she was promoted to the position of Director of Curriculum and Instruction. In 1998, she was named Executive Director of Curriculum and Instruction and in July 2001, she moved into her present position as Assistant Superintendent of Curriculum and Instruction. 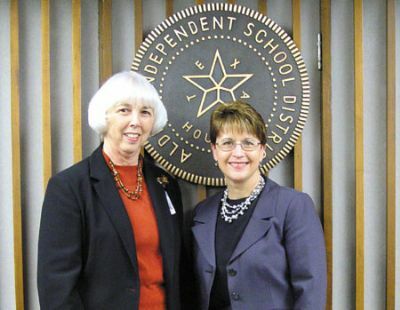 Dr. Bamberg has 29 years of experience in the field of education and she has spent 25 of those years in Aldine ISD. Dr. Bamberg and her husband David have a son, who is a sophomore in high school. A high powered panel of economic and business leaders discussed the economy of North Houston and the city in general, and came to the conclusion: Houston is one of the best places in the nation to conduct and grow a successful business. The keynote speaker was Dr. Mark Dotzour, chief economist and director of research for the Real Estate Center at Texas A & M. Moderator of the panel was KUHF station manager Debra Fraser, and the symposium panelists included Fred Caldwell of Caldwell Watson Real Estate, Ray Charles of ExxonMobil Exploration, Ray Laughter Vice Chancellor of North Harris Montgomery Community College, Jim McIngvale of Gallery Furniture, Jeff Moseley of the Greater Houston Partnership, and Rick Vacar of the Houston Department of Aviation. The Forum was under the leadership of committee chair Lynda Kohler of Frost Bank, and the new Chamber Chairman Bill Ginder and President Reggie Gray. 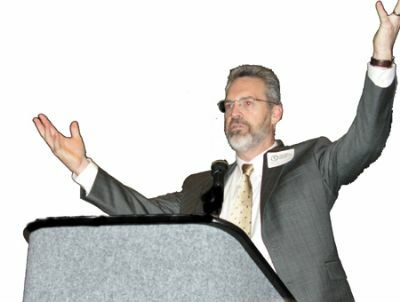 Dr. Dotzour in his keynote address covered the outlook for the regions economy, job growth in 2007, investments in the U.S., and how Texas and Houston will perform. He said that Texas is one of the best states to be in business, and that corporate profits here have doubled since 2002. Dotzour noted that small business is optimistic about the future, that nationally they are hiring 10 to 20 percent new employees, and Texas will be double this rate. Dotzour said there is much speculation about whether there will be a national recession in 2007, as some economic indicators show. However, he said that there is only a 40% chance of this, and even if it happens he expects that Texas will not participate. Noting that Houston is the home of a strong energy market, we have factors that protect us from risk. He pointed out a number of job categories where job growth is prevalent, such as education and health. Only manufacturing seems to be down, but Houston even reverses that trend locally, he claimed. He said that for an investor, real estate is currently a better choice than stocks, and bonds are not even to be considered. Noting population growth, Texas is near the top of the list, with an additional 2 million people in the last five years and a total population of 22 million. Texas also has some of the lowest state and local taxes in the nation, a further boost to economic growth. After the keynote, the other five panelists made presentations in their area of expertise. Jeff Moseley spoke on a regional perspective of the economy. He noted new initiatives such as Opportunity Houston. This is an effort, headed by Drayton MacLane, to raise $40 million and recruit a total of 600,000 new jobs for the area. He also noted that the expansion of the Panama Canal will bring new shipping opportunities to Gulf Coast locations, such as the new Wal-Mart distribution center in Chambers County. Ray Charles, of ExxonMobil Exploration, mentioned that quality of life depended upon access to energy in todays world. ExxonMobil believes there is plenty of resources or reserves to sustain industry for future decades. This includes liquid fuels, coal, gas, nuclear, wind, thermal and other sources. Rick Vacar, of the Houston Airport System, said that Houston airport traffic, now at almost 50 million passengers yearly, grows at 8% every year. Although Intercontinental airport just completed $3 billion dollars in improvements, another round of expansion will be necessary by 2012, when two new runways will be completed. Vacar sees larger planes as a future trend, as well as consolidation of air carriers into few companies. Fred Caldwell, of Caldwell Watson Real Estate, spoke of the strong market for commercial and residential properties in the area, and expected it to continue. Occupancy of Class A office space in North Houston is now at 91%, meaning that we will see more construction. He challenged the leadership to find better solutions for future problems: mobility and mass transit, an ugly tollway, and master planned/mixed use developments. Ray Laughter, vice chancellor of NHMCC district, talked about the phenomenol growth of the community college system, with 46,000 students on 5 campuses, serving 11 school districts. Business will need trained workers in the years ahead, but they are often not available. He sees community colleges as the solution to Workforce Training, but said that they need business and education partners to succeed. His challege: to be a Partner. Jim McIngvale, of Gallery Furniture, said the Houston economy is strong because of a lower cost of living than other parts of the nation, and is driven by an Entreprenual Spirit and the influx of immigrants to this area. He said that our future must be inclusive of all these cultures, and we must strive for a world class healthcare system, world class educational system, and promote the Joy of Work as it has been in the past. To help achieve some of these goals, McIngvale said that he will personally provide a new health clinic in front of his store, affiliated with Baylor and CHIPS, the states childrens insurance plan, for people that currently do not have access to good health care. For those who want to hear more from McIngvale, or Mattress Mack as he sometimes calls himself, he will be the featured speaker at the NHGCC Chambers luncheon on February 15th. HOUSTON U.S. Rep. Gene Green (District 29, TX-D) and U.S. Rep. Al Green (District 9, TX-D) focused on security measures in a January 26 briefing and tour of the Port of Houston Authoritys facilities. Al Green, a recent appointee to the U.S. House Committee on Homeland Security, came at Gene Greens invitation. 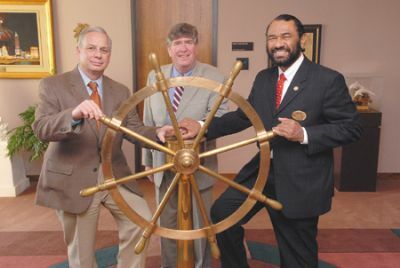 Gene Green represents a majority of the Port of Houston. Both congressmen received briefings from PHA officials, a representative of the U.S. Coast Guard and the Portwide Strategic Security Council – on PHAs port security strategies and the cooperation and integrated communications among federal, local and private partners. Additionally, the congressional members toured the PHAs Port Coordination Center and Mobile Command Center. Each time I come to the Port of Houston, I see improvement in the security system and each time technology improves, security improves at the port, Gene Green said. Both lawmakers pledged that – as funds are needed – they will work tirelessly to ensure the Port of Houston stays on the leading edge of security technology. The Port of Houston Authority owns and operates the public facilities located along the Port of Houston, the 25-mile long complex of diversified public and private facilities designed for handling general cargo, containers, grain and other dry bulk materials, project and heavy lift cargo, and other types of cargo. Each year, more than 7,000 vessels call at the port, which ranks first in the U.S. in foreign waterborne tonnage, second in overall total tonnage, and 10th largest in the world. The Port Authority plays a vital role in ensuring navigational safety along the Houston Ship Channel, which has been instrumental in Houstons development as a center of international trade. The Barbours Cut Container Terminal and Central Maintenance Facility are the first of any U.S. port facilities to develop and implement an innovative Environmental Management System that meets the rigorous standards of ISO 14001. Additionally, the port is an approved delivery point for Coffee C futures contracts traded on the New York Board of Trades Coffee, Sugar & Cocoa Exchange. GREENSPOINT Over a hundred persons attended the beginning of a new year, with new directors and officers being installed for the North Houston Greenspoint Chamber of Commerce. 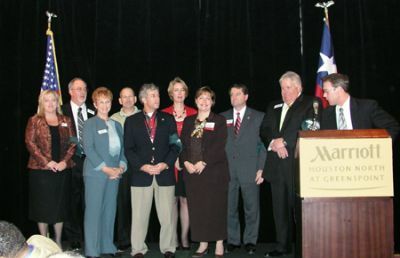 The ceremony was a luncheon at the Greenspoint Marriott Hotel, held last Thursday, Jan. 11. The meeting was presided over by the new president, Reggie Gray, and included presentations by outgoing Chairman Jerry Lowry, and incoming Chairman Bill Ginder. Enthusiasm and new beginnings were the key to the luncheon, as demonstrated by the large turnout, a number of awards and new investment programs announced by Gray. The investing program, open to any chamber member, calls for capital investment in the chamber in a program called Funding Our Future. Large contributions are placed in bank earnings accounts, with the money to be used for future chamber growth. The first participants in this program included Comerica Bank, with a $5000 donation, Reliant Energy $5000, AT&T $5000, and Houston Chronicle $25,000. The program started with remarks by President Reggie Gray and Chairman Jerry Lowry. A magnificent rendition of the National Anthem was sung by Darrell Luckett of Gallery Furniture. Shining Star Award, to the Aldine Greenspoint YMCA, Mission Greenspoint, and Macedonia Outreach for their efforts to serve the people of our communities. Sponsors of the luncheon included the Aldine Improvement District, Anadarko, At&T, Caldwell Watson Real Estate, Comerica Bank, Hines, Houston Chronicle, North Harris College, Partners Bank of Texas, and Reliant Energy. The new board of directors was sworn in by John Pickelman, Chencellor of the North Harris Montgomery Coummity College District. 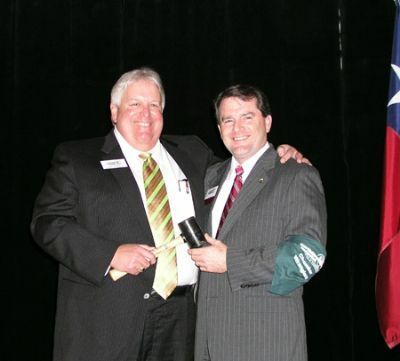 President Gray also recognized retiring directors Clark Austin, Ray Shotwell, and Ben Wilson with a special award. Gray also congratulated Rosemary Buske of Contact Promotions for receiving the Small Business Award of the Year. Retiring Chairman of the Board, Jerry Lowry, of the Greater Greenspoint District, presented an overview of the accomplishments and highlights of his year. He mentioned that one of these was overseeing the search for a new president, and the subsequent selection of Reggie Gray. 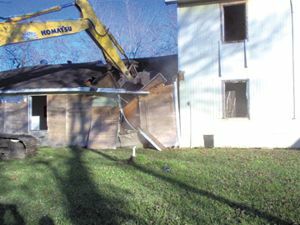 Other changes included a new office location, and a New Vision, New Look and New Vitality. His motto for the year was to stay Connected for Growth by working the chamber so it will work for you, he said. The incoming chairman, Bill Ginder of Caldwell Watson Real Estate, gave a keynote talk about what to expect for the next year in the chamber. In a humorous metaphor, he likened himself to an alligator, not an ostrich or monkey as others might be, because he has a goal and plan, he will see the chamber moving forward, and like an alligator he is prepared to bite something to make it happen. 1. Economic Development, with Linda Kohler as chair. They have planned one event so far, and will hold another later in the year. 2. Membership Development, under Bill Townsend. The goal is to double the members, from 325 to 650 in the year, and to increase retention. 3. Marketing Team, led by Rosemary Buske, to hold fundraising events. 4. Workforce Education/Service Team, led by Ralph Wheeler of the YMCA. Ginder stated that each team will have smart goals, that are measurable and timely. He noted that the chamber works in 4 distinctly different areas of the community: Greenspoint, Airport, US59 Eastex, and Below Beltway 8 in North Houston. He saw this as an opportunity to grow and serve, if addressed properly. 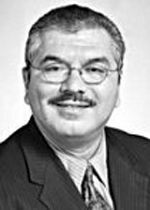 State Senator Mario V. Gallegos announced this week that his doctor place him on a waiting list of a liver transplant. Pending the transplant, Gallegos is unable to travel far from Houston and so will be unable to be in the Texas Capitol this session. My physician has placed me on a waiting list to be a recipient for a liver transplant. He has long anticipated this possibility ever since I became sober almost a year ago. He and I have worked hard together to ensure that I would be in the best possible health, either to prevent the necessity for such a procedure, or to make sure that I would be a strong recipient for the organ in the event the procedure became necessary. My physician estimates that from the time I receive the transplant, I will need an additional 18 days of recovery time prior to resuming my duties in person in Austin. Obviously, I do not yet know when a compatible liver will become available, or how many other patients of similar liver compatibility are of higher priority than my medical need, so it is unknown at this point when the surgery might occur. Of paramount importance to me is that the interests of those in my Senate district are well-represented in my absence, and I have taken steps to make sure of it. 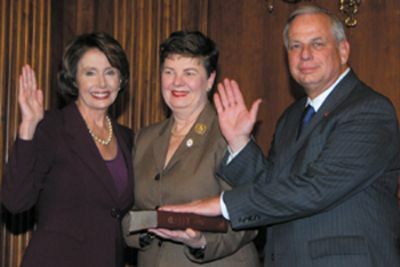 First, I will be in constant communication with my legislative staff, and they will coordinate with other Senate offices to make sure any amendments I would have otherwise proposed in Senate committees to legislation affecting my constituents will instead be offered by other Senators on the appropriate committees. Once Lt. Governor Dewhurst makes his decisions regarding committee assignments, I will complete that process. Rocky Balboa is the sixth film in the plucky pugilists 30-year cinematic career  and one of the best of the batch. 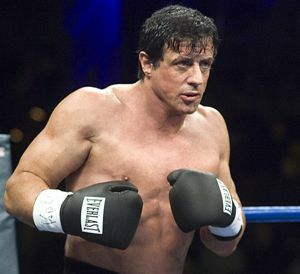 Not since the original Rocky has Sylvester Stallone portrayed Balboa with such vulnerability and humanity. This film is so well-written and acted that I wouldve rather seen more scenes with the characters in their daily life than the final 30-minute boxing match. The film takes place back in Philly. Pushing 60, Rockys career is long over. His wife, Adrian, has been dead for a few years, and Rocky Jr. is off to make his way in the corporate world. Junior (Milo Ventimiglia of Heroes) is having a tough time living in dads shadow, so he and Pop dont speak much. This leaves Rocky alone, brokenhearted and living a life without meaning. When he isnt spending time at Adrians grave, hes running a modest little restaurant (named Adrians) where he regales the patrons with tales of past battles. Thankfully, Rocky stumbles upon a woman from his past, Little Marie (Geraldine Hughes), a woman he hasnt spoken to since he walked her home 30 years ago when she was a wayward teen. The affection between these two characters is mature and unspoken, and it trumps anything we ever saw from Talia Shire. Just as things start looking up, enter Mason The Line Dixon (Antonio Tarver), the current champ whose fights are all setups. Dixon is looking for respect, and the only way to get it is by fighting the ex-champ. Rocky needs to purge himself of some demons in the basement, i.e., get over Adrians death so he can move on with life, and teach his son the meaning of courage. I know I spoke heresy in the second paragraph, but Rocky Balboa wouldve been a better film without the boxing match. The performances and the relationships between the characters are so strong, this movie could stand on its own without the fight scene. Even still, Rocky Balboa is a fine movie, almost as good as the original. Resurrecting old sayings . . . The eagle screamed so back to writing Two Cent Worth if you savvy. We always used that term aboard ship in the Coast Guard come pay day. All the mates lined up with the highest ranking first in line. Everybody was paid in cash as others waited in line to collect on their gambling debts. Not me because I was always too tight to play cards or shoot dice with the mates. Had this one First Class Boson Mate that always wanted to borrow a few bucks but he was very hard to collect from plus he didnt want to pay anything to boot. Only he taught me a lesson the first go round because after that I wouldnt loan him a nickel. Whats that old saying, shame on you first time but shame on me second time? There were some guys that would pay out their entire pay check after a 30 day pay period to pay their gambling debt. Some of the nicer guys would let them keep ten bucks or so to buy deodorant, soap and toothpaste. Smokes were a buck a carton back then and free of all taxes. Many miles have been traveled since that time, be it nautical, air or flying low in a vehicle. Having past the golden age plus another ten years the old gold (not a cigarette) has started to rust. WD-40 is not doing the job. Being a believer in preventive maintenance, and after putting it off for ten years, this ole mate finally had his colon checked. Although there is a permanent frown on my face from building up to it, the procedure was not all that bad compared a few bottles of barium consumed prior to being x-rayed a few years back. Had to drink a full gallon of this nasty stuff that is suppose to clean you out. I guarantee it! This being done in a hospital with you being knocked out makes all the difference in the world and again the worse part is the quantity of the cocktail to give you a case of the turkey trots. Then they take you to the recovery area which should be renamed to the gas chamber area as the air is expelled from the photographed procedure. Didnt win a checkered flag or anything but sure was glad to get home and eat a bite or two. Jell-O and broth dont do much for a shy fat boy. My phobia is gone now since the procedure is done. My second dad, father-in-law passed by what started out as colon cancer. He was in his 70s and a fit man indeed. Come on Old Man Winter, get on down the road, I got a garden to till and onions ready to go in the ground.